A Hindu girl aged around 16 years was kidnapped on 10th November from Khashera, Manikpur Union of Jokigonj PS. of Sylhet District for conversion to Islam. The girl identified has been identified as Dipali Rani Biswas was abducted by Zonad Ahmed (22) son of Hafiz Ahmed. 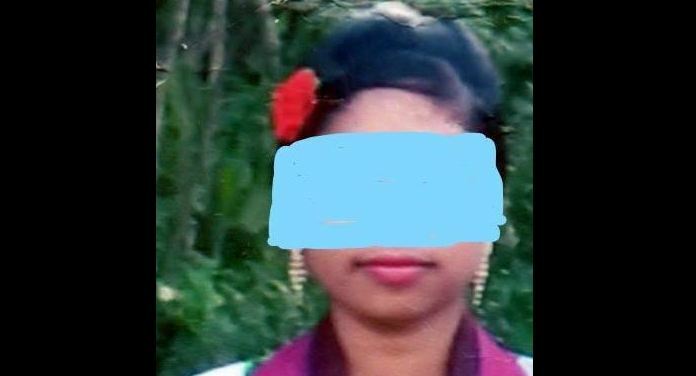 Zonad has abducted the teenage Hindu girl to convert her from Hinduism to Islam and marry her. After conversion, a girl, cannot return back to older faith as the Muslim society of Bangladesh frowns upon apostasy and it could lead to a life-threatening situation for the converted person and also his family and society. 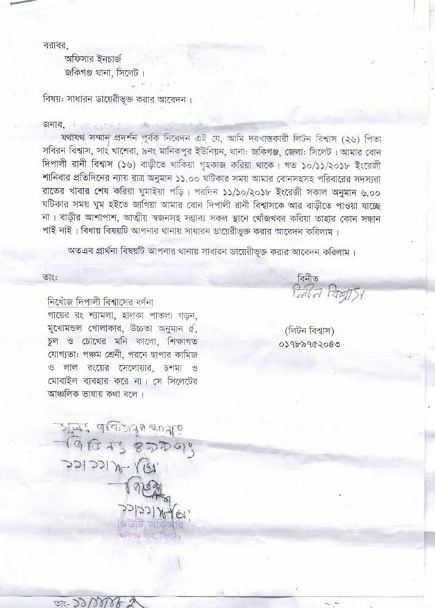 Liton Biswas -elder brother of the victim lodged first information report (FIR) at Jokigonj police station. The case was registered as PS No.16 dated 21.11.2018 under section 7/(9)1 of women and children repression Act,2003 (Amended). Police, with the coaxing of Hindus, arrested the perpetrator and rescued the victim is now in safe custody and accused is now in the jail custody. The Officer in Charge of this case is being commended as he jolted into action and rushed to the spot and arrested the accused and the victim was recovered on 21.11.2018. The Additional Superintendent of Police, Jokigonj Circle also helped in the recovery of the victim.